IQSA and State Islamic University (UIN) Sunan Kalijaga in Yogyakarta, Indonesia, are co-hosting an international conference on “Recent Trends in Qur’anic Studies,” to be held in Yogyakarta on 4-7 August 2015. This international Qur’an conference will be a forum where the Islamic tradition and rigorous academic study of the Qur’an will meet, and various approaches to the Qur’an will be critically discussed. In the spirit of learning from, and enriching, one another, we are working on a conference that will introduce our unique model of collaboration between IQSA and UIN Sunan Kalijaga to enhance the field of Qur’anic studies. Over the last few decades, Qur’anic studies emerged as an exciting and vibrant field of research among scholars both in the West and in the Muslim-majority countries. This is evident not only in the flurry of books and articles that deal with the Qur’an and in the convening of various workshops and seminars on the subject, but also in the controversies that this field engenders. Diverse methodologies are currently applied to Qur’anic studies, and various issues are raised. Some of these methodologies and issues are new discoveries, while others revive older researches. As a result, many assumptions that for years have been taken for granted are now under rigorous scrutiny and often disputed to such an extent that, as Fred Donner has rightly noted, the field of Qur’anic studies seems today “to be in a state of disarray,” in the sense that there is little consensus among scholars. Questions such as the milieu within which the Qur’an emerged, the Qur’an’s relation to the Biblical tradition, its chronology, textual integration, and literary features are hotly debated today. This international conference aims to explore major methodological and thematic issues in recent scholarly studies of the Qur’an in different parts of the world. We also wish to engage in scholarly conversations about the possibility of collaborative works to enhance the field of Qur’anic studies by bringing together scholars who may have little other chance to directly interact. There clearly needs to be closer collaboration among scholars of different perspectives and backgrounds. Rather than deepening conflicting approaches to the Qur’an, these scholars will explore the extent to which they may learn from one another in terms of methodological/hermeneutical approaches as they will also address current issues being debated in the field. Among scholars in the field who will participate in the conference, to mention a few names (in alphabetical order), are: Fred Donner, Ali Mabrouk, Daniel Madigan, Jane McAuliffe, Gabriel Reynolds, Andrew Rippin, Abdullah Saeed, Nayla Tabbara, along with Indonesian scholars such as Amin Abdullah, Noorhaidi Hasan, Moch. Nur Ichwan, Syafaatun el-Mirzanah, Yusuf Rahman, Quraish Shihab, Sahiron Syamsuddin. If you are interested in presenting your research on any of the following topics, please send your abstract (250 words) to Mun’im Sirry (msirry@nd.edu). Please note that abstracts, papers and presentation must be in English. This week IQSA continues its interview series with Dr. Anne-Sylvie Boisliveau, postdoctoral fellow in Islamic Studies (University of Gronigen). In this interview, Boisliveau presents her achievements and research in self-referentiality and argumentation within the Qur’anic text. Dr. Boisliveau, how did you become a Qur’anic scholar? When I started studying political sciences and international relations at college in France, I was given the unexpected opportunity of following beginner’s courses in Arabic. I immediately enjoyed studying the language, and decided to pursue both a second bachelor and a masters degree in Arabic language and culture. I later completed this training by living more than seven years in Arab countries. My interest in the Arab world and its people naturally led me to focus increasingly on an element that was so important for many people there: the Islamic religion. Step by step, I chose to study the Qur’an due to its centrality for Muslim believers I met. I spent time listening to sermons in mosques and attending classes of religion and sharia in Islamic institutes in Arab countries. I was curious about the authority Muslims granted to this text. What are your academic achievements in the field of Qur’anic studies? In 2010 I defended a PhD thesis on self-referential discourse in the Qur’an. To put it simply, this study deals with “what the Qur’an ‘says’ about itself,” or how the Qur’an describes its own phenomenon of revelation, its own status of revealed scripture, and its own role in people’s lives. What is the significance of your study for the field of Qur’anic studies? First, it showed how textual and literary critical studies of the Qur’an can really produce interesting results in today’s research. 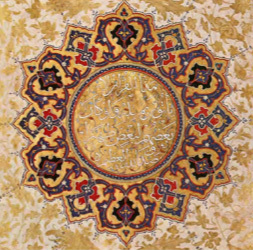 A pioneering and fascinating study in self-referentiality had already been done by Daniel Madigan (The Qurʾān’s self-image: writing and authority in Islam’s scripture, Princeton 2001), but it focused exclusively on vocabulary and semantic relations. 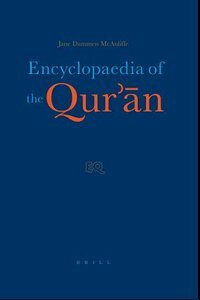 A short book in French (Aux origines du Coran—“At the Origins of the Qur’an,” 2004), written by Alfred-Louis de Prémare, as well as the introduction of a book edited by Stefan Wild (Self-Referentiality in the Qurʾān, 2006), both suggested the importance of considering arguments and debates exposed within the Qur’anic text. At the beginning of my research on the Qur’anic text, I realized that there was a lot that could be done through a renewed philological approach that does not consider only vocabulary but also the argumentative strategies operating within the text. In my view, argumentation is really to be taken into account when trying to understand the Qur’anic teachings. 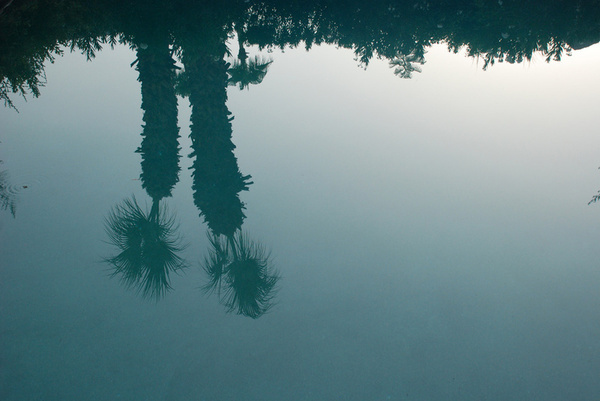 Narratives, for instance, are not used in the Qur’an only to retell nice stories of the past. They are there because the text “has something to say” by using them. What I found so interesting to try to elucidate is what results of the argumentation built into the text. Second, my research has shown how authority was granted to the Qur’an by its own text. For instance, among other strategies, the Qur’anic text uses previous scriptures (Torah, Gospel, etc.) as referents to define its own nature as a “scripture revealed by God to a prophet”—even though it does so in a new way that differs from main Jewish or Christian concepts. Many rhetorical tools are used by the text to argue its own definition and to try to convince its audience. Third, my research brings new insights to the question of the chronological development of the Qur’anic text. I tried to figure out whether some evolution within the self-referential discourse of the Qur’an could be discerned. To this end, I used several hypotheses of the chronological order of verses and Suras, both from Western scholarship and Islamic tradition. I myself am not sure whether these chronological order hypotheses are reliable; but—in order to explore all the possible dimensions of self-referentiality, and encouraged by the works of Angelika Neuwirth—I chose to complete the first two parts of my study (vocabulary and argumentation in a synchronic approach) with a third part employing this chronological (diachronic) approach. And it actually generated very interesting results on the development of the text: the logics of self-referentiality did evolve, or at least, appear as very different in the different parts of the text. The first two parts of my work (synchronic approach) are on their way to publication under the title Le Coran par lui-même. Vocabulaire et argumentation du discours coranique autoréférentiel and the third part (chronological approach) will be published separately. Among my English articles on the subject is “Polemics in the Koran: The Koran’s Negative Argumentation over its Own Origin,” Arabica, Brill, 2013 (60). On the one hand, my research seeks to understand and analyze Islamic dogma and provide information about it; in this regard, knowledge of the Qur’anic text is of primary importance. For instance, too quick a reading of Qur’anic verses may lead people who do not know Islam to misinterpret the meaning of words by assuming these words have the same meaning as in their own religion or culture, whereas this is not necessarily so. I hope my work on the Qur’an can help non-Muslims and Muslims alike to understand the reality of what they actually mean within their own contexts. On the other hand, I seek to contribute to the development of a high standard of scholarly study of the Qur’an. For instance, as a scholar I cannot base my interpretation of a verse on the idea that it is God’s word, and that therefore its meaning is logical or right (as this would be judging according to religious principles). And similarly I cannot base my interpretation on the preconceived idea that the Qur’an is violent and evil (for this would stem from hostility and polemical principles). As a scholar I am not allowed to work from any of these principles, as this would mean imposing on other scholars either a religious view, in the first case, or an ideological-political view, in the second. The job of a university scholar is not to base his or her research on religious assumptions, nor to build religious law. On the contrary, the job of a university scholar is to try to understand texts and facts in the most neutral way possible, without the influence of previous assumptions, and to present research to a multicultural society where people are free to have religious and non-religious beliefs of all kinds. In order to offer knowledge about the contents and the history of the Qur’an to the multicultural world society, scholars should keep their own religious or anti-religious assumptions aside. I hope my modest contribution to the field can help to further Qur’anic scholarship with high academic standards.